December is here, so keep these dates in mind to ensure your holiday packages arrive on time. And just like that, it’s suddenly December. The holiday shopping season is in full swing. If you want to make sure your packages arrive before Dec. 25, there are some important dates to keep in mind. The big one: Dec. 14. 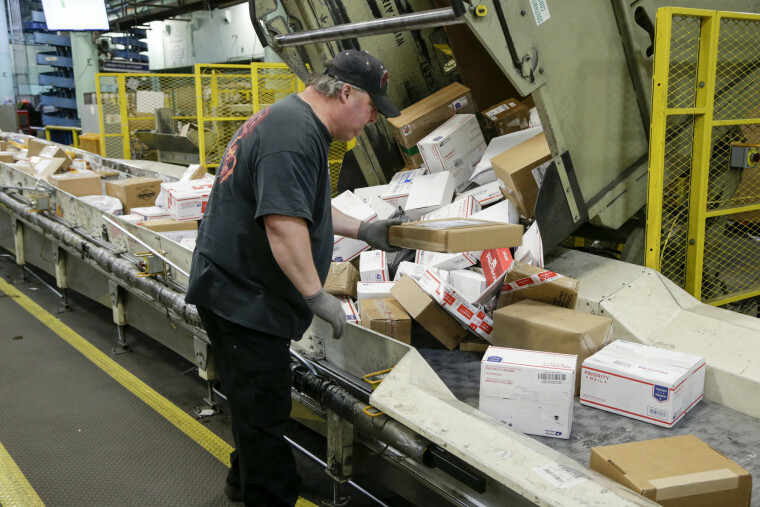 That’s the shipping deadline for all retail packages sent through the United States Postal Service, which also has the duty of delivering millions of Amazon orders. The date is so crucial that it even spawned its own shopping holiday, Free Shipping Day. On that day, more than one thousand retailers plan to offer free shipping and one final guarantee that items will arrive on time for Christmas. After meeting the holiday shipping deadline, it’s time to mail those holiday cards. If you want them to arrive by Dec. 25, they’ll need to be mailed by Dec. 20. That’s also the deadline for mailing first class packages weighing less than one pound. Dec. 22 is the deadline for sending any last minute items via Priority Mail Express. The last day for mailing packages by FedEx ground and home delivery services in the United States is Dec. 17, one full week before Christmas Eve. The cut-off for the company’s overnight service is Dec. 21. UPS offers an online shipping time and cost calculator that will let customers figure out how long it will take to mail their parcels. As a general guideline, the last day to ship packages through the three-day service is Dec. 18, with Dec. 21 as the last day to ship “next day.” However those packages will either be processed for a Saturday delivery on Dec. 22 delivery, if available in certain areas, otherwise they’ll arrive on doorsteps on Christmas Eve. Amazon hasn’t released guidance on holiday order deadlines, but its standard shipping option quotes a time frame of 3-10 days. The retailer is also offering free shipping for a limited time on items fulfilled by Amazon, hopefully enticing shoppers to finish up their holiday buying before the last minute rush. Amazon Prime members also get free two-day shipping. It’s worth noting that items that are ordered and fulfilled by a third-party vendor may take longer to arrive. Target is offering free shipping through Dec. 22 and free two-day shipping in certain markets. Same-day delivery is available for groceries and certain items through Shipt, a delivery service Target acquired last December. First-time users can get a free-two week membership before paying a $99 annual fee. Walmart is offering free two-day shipping on millions of items from Walmart.com and its marketplace partners, with a minimum $35 purchase. Customers wanting to make a return can also drop their unwanted items off at a Walmart store, even if it was purchased from a marketplace partner, and Walmart will take care of the return process. If you’re in a race against the clock and want to make sure you have those presents when you need them, in-store pick-up is a solution. Many large retailers, including Walmart, Target, Home Depot and Petco, offer options for shoppers to check to see if an item is available at a nearby store, purchase it online and then quickly pick it up in person. Sure, you might have to fight for a parking spot during the holiday rush, but it gets the job done.